One of the regular observations and laments of those doing gospel work in developing countries is the chronic shortage of helpful ministry resources. By which they don’t mean a shortage of people—they have plenty of people keen to serve the Lord Jesus—but books. 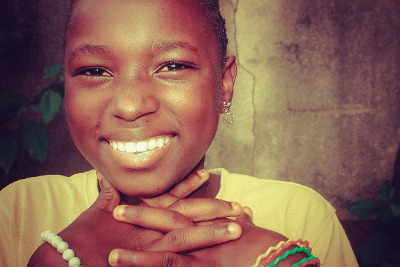 The Gospel Coalition International Outreach is one organization that seeks to address this issue. They describe their work as “theological famine relief for the global church”, distributing over 850,000 free theological books and resources since 2006. This is a great ministry worth learning about and supporting. The emphasis of the TGC IO’s work is firmly on providing theological resources to pastors to help them build a strong, biblical framework for their ministry and combat theological error. We are delighted to say that some Matthias Media books have made their way into pastors’ hands via this route, including The Trellis and the Vine. Nonetheless, it seems to me that there is an additional way we can support the global church—a way that has been Matthias Media’s goal for the last 31 years—by providing theologically sound resources for use in day-to-day ministry: expository Bible study material, training courses, evangelistic resources, and so on. In other words, what we might call ministry ‘consumables’, rather than just pastoral textbooks. However, one of the great challenges of getting any such resources to the global church is the cost: printing, shipping, warehousing, distribution, etc. For a ministry like Matthias Media, which struggles even to make publishing work financially in the affluent west (Australia, UK, USA), funding physical distribution into Cameroon or India or the Philippines or other similar countries is not only logistically complex, it is cost prohibitive. But over the last few years we have built an online platform called GoThereFor.com to distribute resources in a digital form. And one of the ideas our Board of Directors and our staff team have been particularly keen on pursuing is using that platform to provide cost-effective access to under-resourced parts of the global church. So for the last 18 months, we have been planning, fundraising, and building connections to make this happen. In God’s wonderful kindness, these fully-funded ‘foundation memberships’ are now starting to roll out. 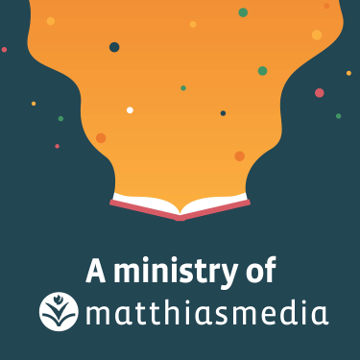 Already we have gospel workers in Zimbabwe, Nepal, India, Bangladesh and China signed up and able to access a long list1 of Matthias Media resources, which they can then download and freely use in their ministry. have sufficient English to be able to make use of the resources. It’s an exciting new dimension to our work, and there are three ways you can help us with it. Help us establish the overseas connections we need. We’re not really wanting individual names of pastors or missionaries you may know serving in the developing world. Instead, we’re looking to partner with those who are working with groups of overseas pastors and leaders who meet those three basic criteria. Perhaps, for example, you are part of a team that travels overseas once or twice a year to provide preaching or theological training to groups of pastors. If you are interested in facilitating foundation memberships for some or all of those pastors, please get in touch with me. Pray that the Lord would use this initiative to build his church and grow many disciples across lots of different countries. Pray that many of the resources accessed through these foundation memberships will be highly useful. Consider contributing financially to fund more foundation memberships. At the moment we have more funding than we have people to give memberships to, but I expect that to change, and change quickly—hopefully in part because of your responses to (1) above! Donating is quick, easy, and tax deductible in Australia. Ian Carmichael is the CEO and Publishing Director at Matthias Media, and has been with Matthias Media from its very beginning (1988). 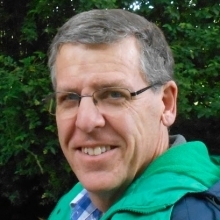 He is the author of an Interactive Bible Study on the book of Habbakuk, as well as a number of evangelistic tracts, and helped develop the 'Reading the Bible Aloud' course. Ian also confesses to being a wretch, saved by God's amazing grace.